Hello lovelies, Uncommon goods very kindly sent me some lovely items for Dans birthday that was back on the 14th of this month, he turned 29! He had a great birthday and absolutely loved the birthday items I chose for him of Uncommon goods website. My fiance is a carpenter and loves beer so I thought he would really appreciate the beer case that looks like a tool case with the handy bottle opener on the end also and for a personal touch a lovely book 'What I love about Dad', I thought as Dan works away Monday to Friday every weekend when he gets back from work he could sit down with Oscar, ask him the questions in the book and fill them out together. Dan really was over the moon with the products and said how thoughtful I was for the items I had chosen, all thanks to Uncommon Goods of course, Dan is literally the hardest person to buy for, 'What do you want for your birthday babe?' 'Oh nothing.' Helpful, but aren't all men the same? 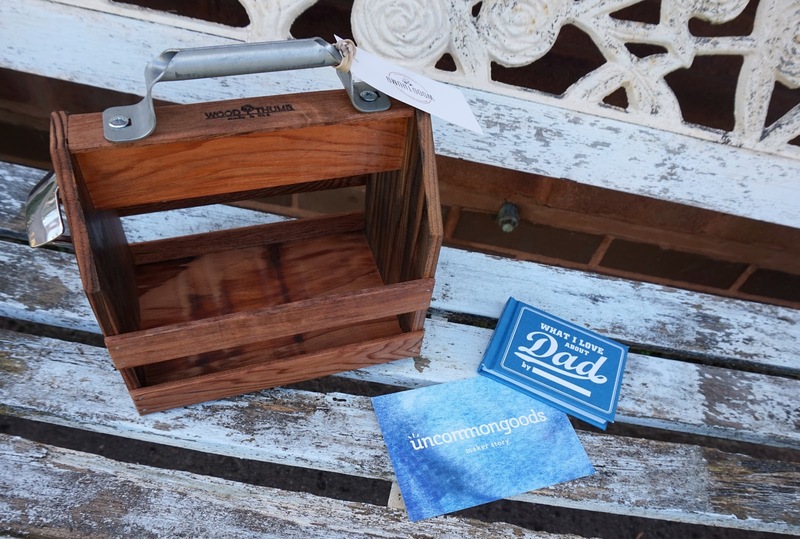 My dad always persists on not getting him anything but I could never do that, websites like this make it great to get unusual, practical, thoughtful or random gifts for people that will be loved by anyone. 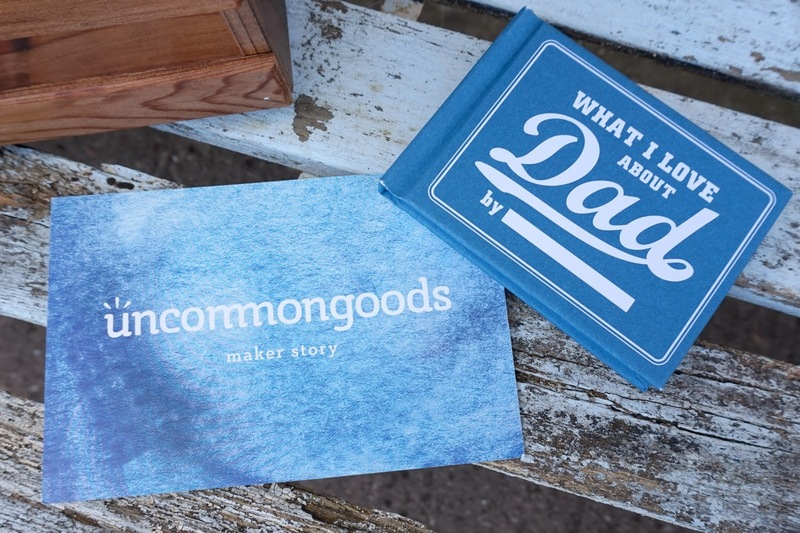 As I got these products and was super impressed with them I thought this would be an amazing website to get some gifts for fathers day! For my dad, Dan and his dad! There are so many things to choose from so I thought I would do a little wish list of items I would choose for them all. Bluetooth Tracking Tag - Dan is ALWAYS loosing his keys, phone, card you name it. He would loose his head if it wasn't screwed on so I think he would really appreciate this gift, but how many to purchase? Sham Rock Glass - My dads Irish and he loves quirky things, I think he would love this glass to drink his sambucca out of. 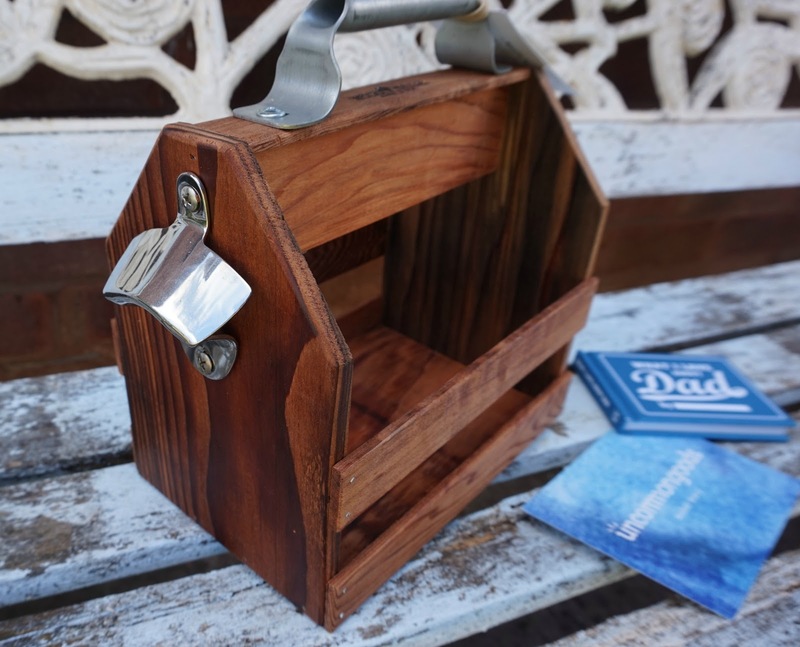 Wooden Beer Caddy with bottle opener - I'll have to put this back on the list because I think Dan's dad would also love this gift, a carpenter and a beer lover too! Golfers BBQ Set - Dan also loves golf and is always head of the barbie, say no more how fun are these? Contractor Pen - Again Dan would absolutely love this, I wish I paid more attention to this when I was looking for gifts for men as this might of been his favourite gift haha. Beer Towel - Another one for Dan's dad, he could use it on his dog walks, Alfie always jumps into some kind of water so he could dry him of with this and keep it in his car for decoration. 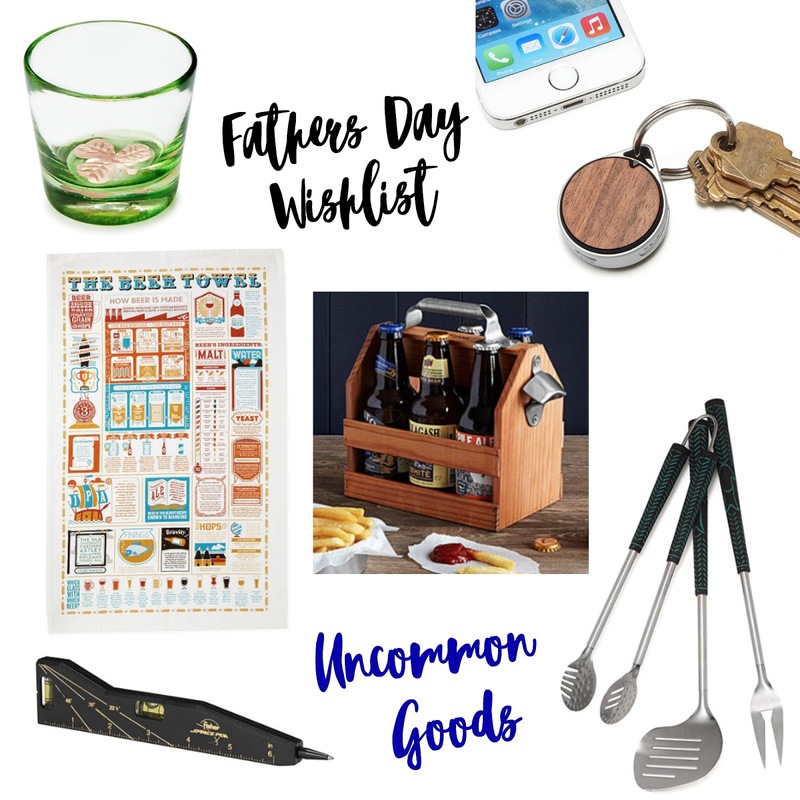 Obviously your father, father in law, partner, etc will have different tastes you can check out there fathers day gifts on their website to see what you think they would fancy, have fun with it. 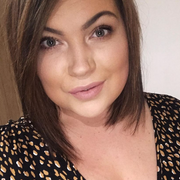 This is a great website for everyone, I love websites like this that are handmade items it just looks so more meaningful and that you have put a ton of effort into someones birthday, christmas present, fathers day, mothers day or whatever the occasion their is a gift on their website that fits all.